The EU Commission provides a platform for out-of-court dispute resolution. This platform allows customers to clarify disputes relating to their online order out-of-court in the first instance. If the shopping card does not show your currently selected items, please click on this symbol on the card to reload it. 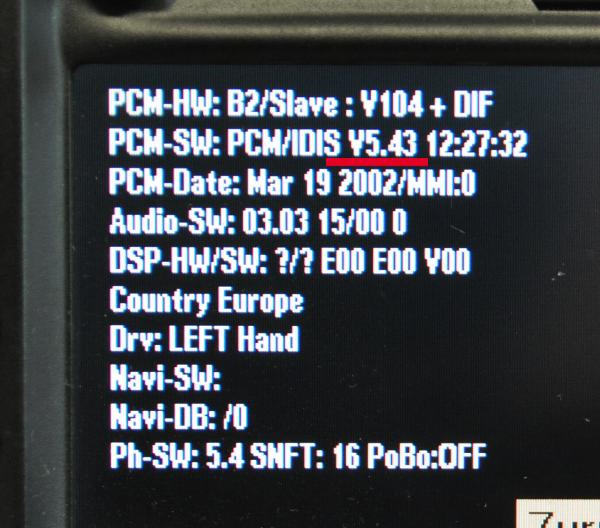 The BTIF Wireless-Interface replaces the existing GSM modem on the back of the original Porsche PCM system. There is no SIM card needed. Any mobile phone can be connected wireless. The telephone directory from the mobile Phone is acquired by coupling (max. 200 entries). Names and phone numbers are displayed in the PCM when making calls. Up to four mobile phones can be saved. The last connected mobile phone connects automatically with every new launch. In addition, music can be played from the mobile phone by live streaming trough the PCM. The Module simulates an additional CD Changer device. The operation of the original CD changer is still possible if there is one is available. Simply go to the car, insert the key and use the original handsfree system with microphone and speaker. No modifications are necessary. Only the Module will be replaced and an additional antenna has to be installed into the center console. Finished! Please check the PCM-SW to see if you got a V3 or V5 PCM unit.